Thinking of Blue, 2 coats. These were both clearance polishes, pretty much the only way I ever buy CSMs. This is nice as expected, a deep blue creme. With a name like “Eel Skin,” I was expecting a shimmer, but this is definitely a creme. 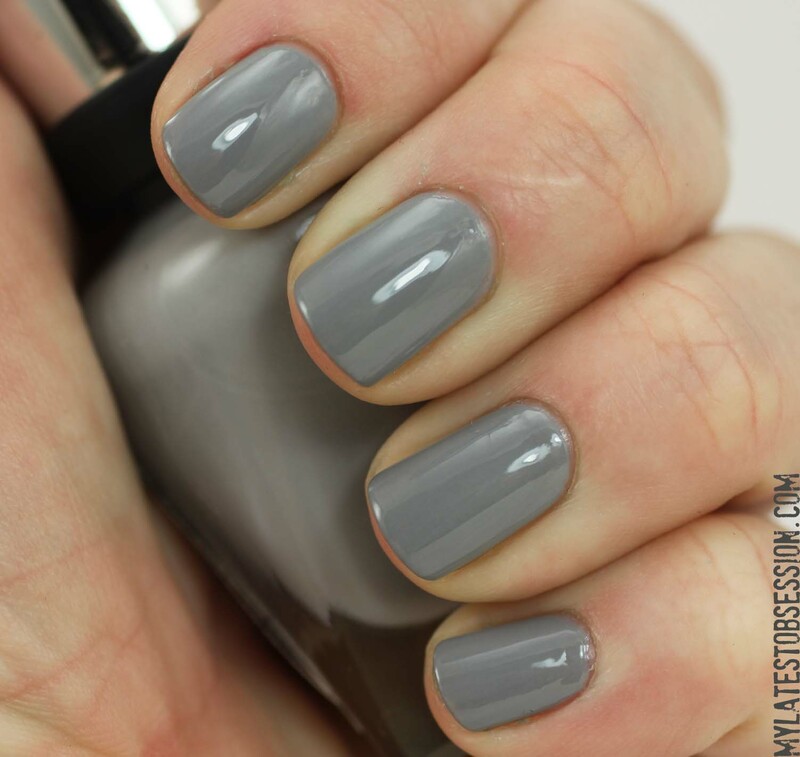 A nice one, though, a medium gray that of course applied beautifully. I adore this line within Sally Hanson. The brush is nice but takes some getting used to. But this line’s formula is really amazing. I only tried it based on what bloggers were saying as I never usually bought SH thinking it was a watery drugstore brand (but I used their Instant Cuticle Remover when I need it and it’s great). Both these looks like great standard shades every collection should have. 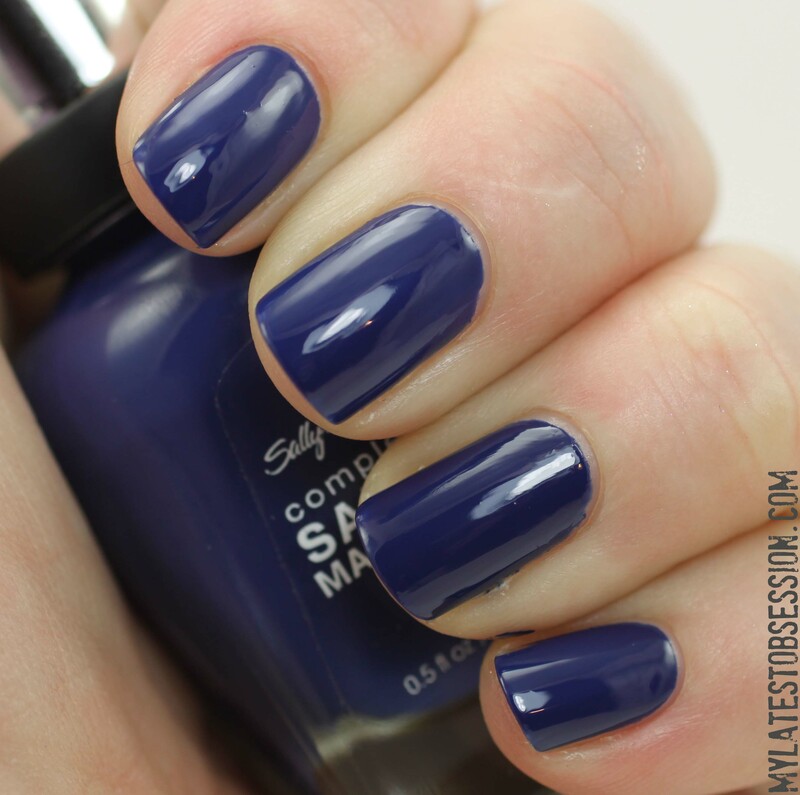 I love Thinking of blue, it reminds me of my fave dark blue ever: First Mate *sigh* NICE!